Processed foods often get a bad rap as many of them are filled with sugar, sodium, and fat - but not all packaged products are created equal. While fresh, wholesome foods are always preferable, there are plenty of processed foods that are totally healthy, and you're missing out on their health-boosting nutrients and convenience if you decide to nix them from your diet. The key is to read the nutrition and the ingredients labels carefully and look out for red flags, like added sugar, MSG, and unhealthy oils. Ideally, you want to eat packaged foods with minimal ingredients. For example, some store-bought breads have a generous amount of salt - more than you'd expect in a slice - and if you enjoy more than one, the sodium can quickly add up. That said, you can be smart about choosing the processed foods you buy. From bean pasta to sauces to veggie burgers, here are the convenience foods dietitians always keep stocked in their kitchen. It's a common misconception that prepping healthy meals means shopping only around the perimetre of the grocery store. But if you do that, you're missing out on many nutritious choices in the inner aisles, including the freezer section, where you'll find many high-fibre breads and frozen veggies and fruits. 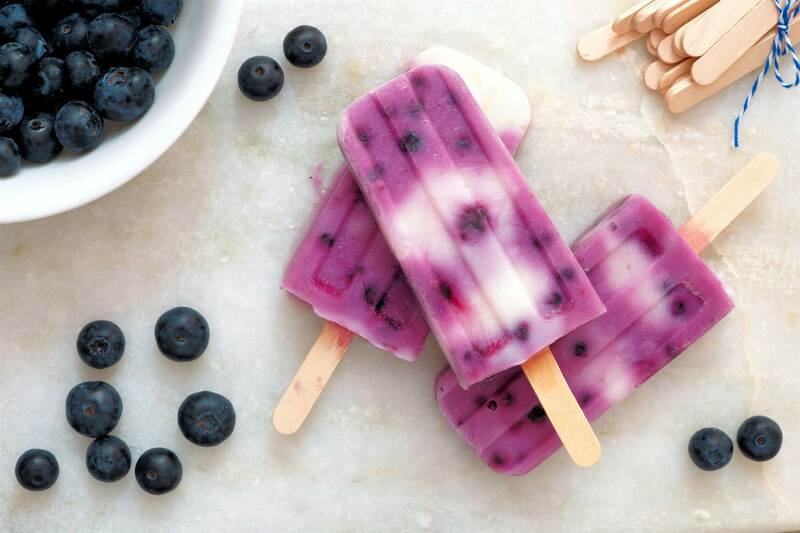 “Frozen wild blueberries give us year-round access to these brain-protecting berries. They’re picked at peak ripeness and their nutrient content is preserved better than fresh,” says dietitian Maggie Moon. “Most of the brain health research on blueberries has been conducted on wild blueberries, which are concentrated flavourful bursts of antioxidants,” she adds, so don’t be afraid to dig into this packaged fruit. You may find that some frozen fruits are also cheaper than their fresh counterparts. You won't find a bag of chia seeds in your produce aisle, but that doesn't mean it's any less deserving of a spot in your cart. 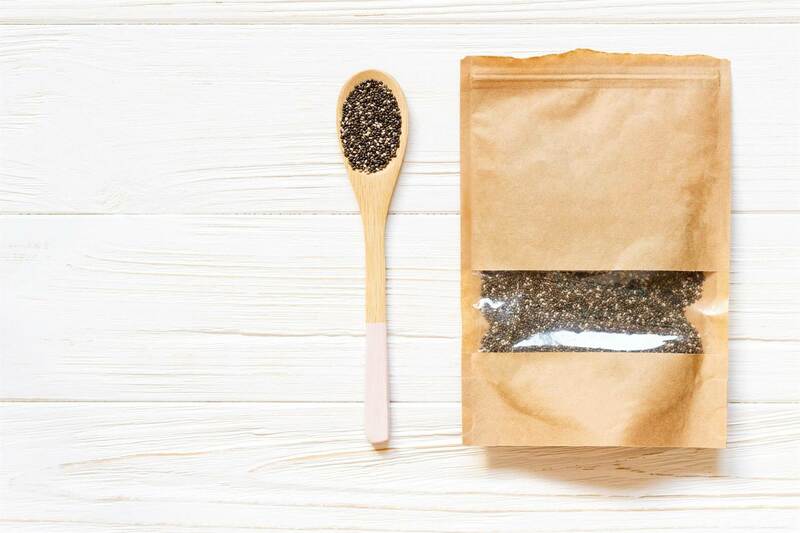 “Chia seeds are high in plant-based omega-3 fatty acids and calcium, two important nutrients people don’t get enough of. 30g is also rich in fibre (11 grams)," says Moon. 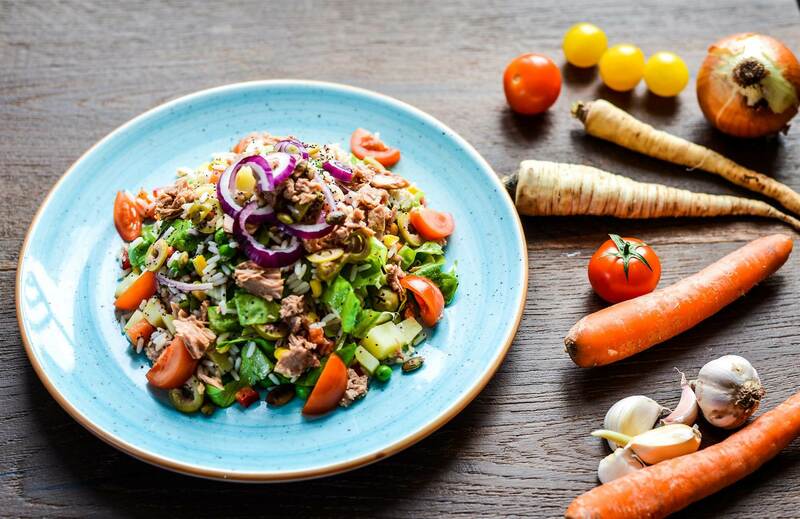 A 2019 study from the journal Lancet confirmed that eating 25 to 29 grams of fibre daily can help you live longer. You can add these to smoothies, yoghurt or porridge bowls, or you can even make an overnight breakfast chia seed pudding. Canned beans are often loaded with salt to help preserve them, but you can offset this by rinsing the beans under water before adding them to your dish. Moon says doing this cuts sodium by 40 percent. “For those nights when you just don’t have it in you, canned beans are a lifesaver and a staple in my pantry. Chickpeas are one of my favourite plant proteins, and work especially well in Mediterranean and Middle Eastern inspired meals,” says Moon. They’re a plant-based protein that doubles as an excellent source of fibre, too. People are adding matcha to their smoothies, cookies, and overnight oats, and for a good reason. Matcha is a powdered tea that derives from finely grinding whole green tea leaves, which means you're taking in the benefits from the entire leaf. You can find matcha powder in the tea and coffee aisle of your grocery store, and some health food stores might also carry it. 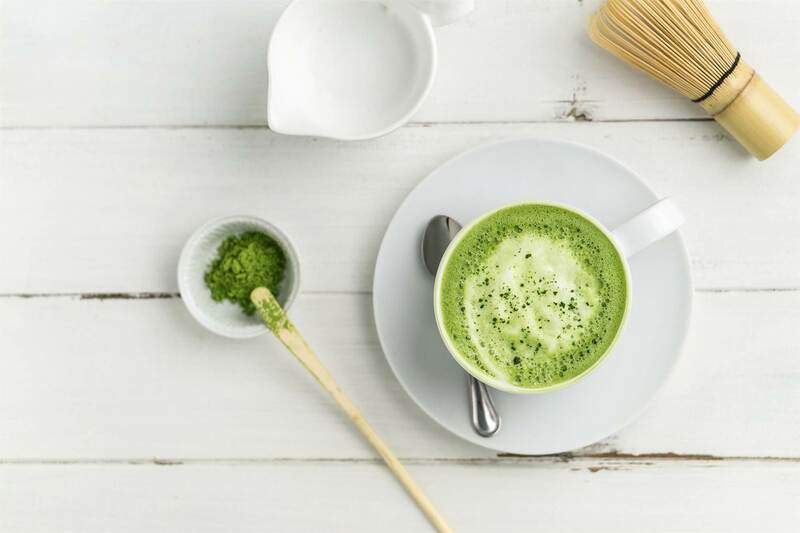 “All green tea has benefits for focus and memory, but matcha green tea powder leads to a greater concentration of the beneficial compounds in green tea," Moon says. A review of 49 human trials from the journal of Current Pharmaceutical Design suggests that phytochemicals like L-theanine and caffeine found in matcha improve mood, cognitive performance, and sharpness. 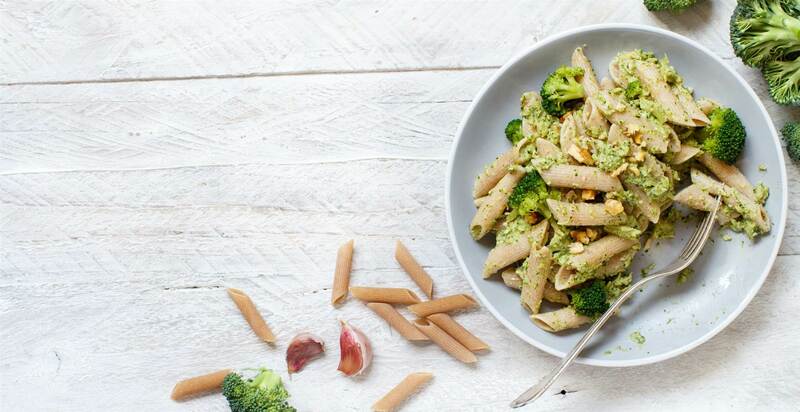 OK, so legume pasta might not be considered a whole food to some, but next to sliced whole-grain bread, it's one of the most nutritious packaged foods you can get. Bean, chickpea and lentil pastas are higher in protein and fibre than traditional white noodles and even some whole-grain varieties. Plus, they're gluten-free. Today's veggie burgers are a far cry from the stale, chewy patties of the '90s. 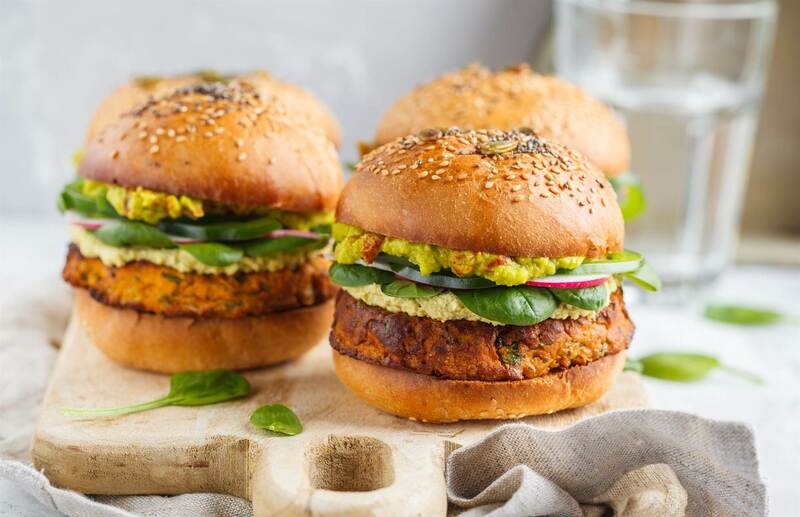 Thanks to plant-based burgers, you can have a delicious meatless meal on the table in minutes (all you need is a microwave). Look for them in the frozen aisle and add to a salad or bun to whip up a high-protein dinner in a snap. 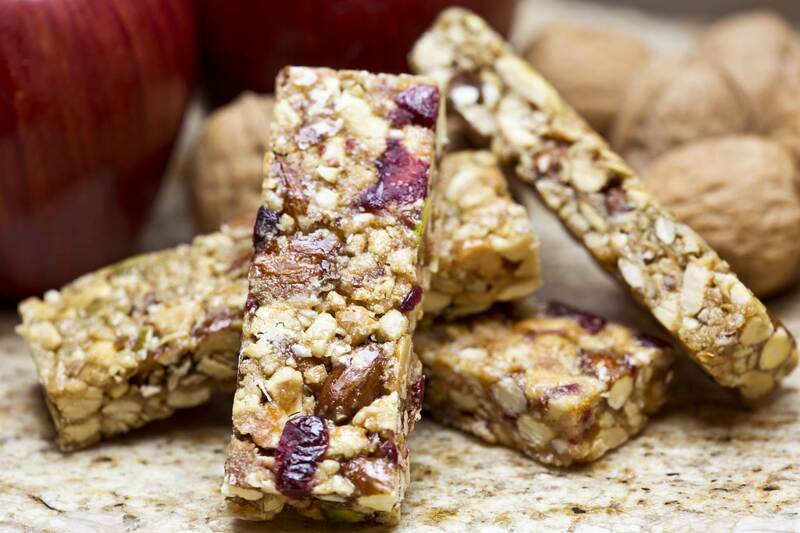 Certain muesli bars are totally good for you, even though they’re technically processed. The key is to find bars that are lower in sugar, ideally around 5 grams. Who says chocolate milk is just for kids? In fact, many dietitians recommend chocolate milk as a post-workout snack because it has the perfect ratio of carbs and protein. Plus, it's a rewarding treat after a tough sweat sesh. “Chocolate milk isn’t only for kids; it’s actually a great recovery drink for active people. 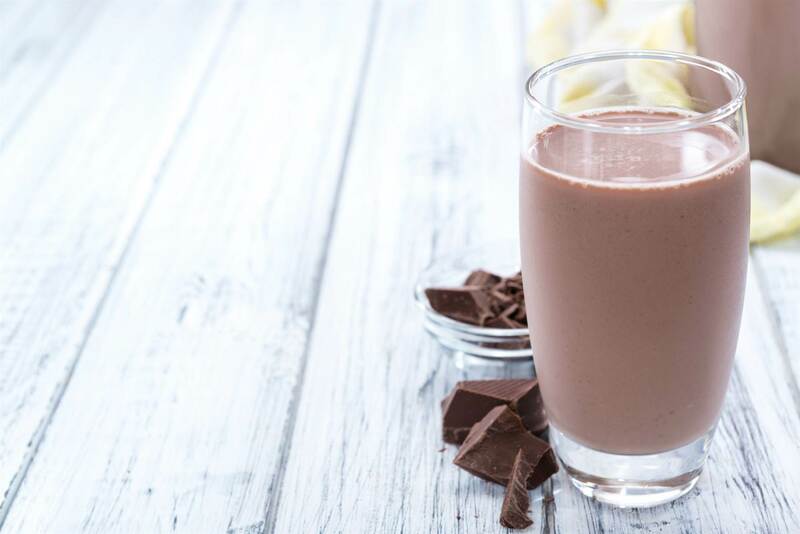 The 3:1 carb to protein ratio in chocolate milk has been studied extensively and has been found to help tired muscles recover and prevent muscle soreness,” Rizzo says. Instead of opting for an expensive protein shake after a workout, try a glass of chocolate milk. Olive oil is considered "processed" because it's quite literally the oil expressed from an olive. But it's one of the healthiest and most flavourful oils you can enjoy. Since it's kJ-dense, be sure to stick to one tablespoon. “That said, it’s one of the healthiest oils around, due to its high concentration of unsaturated fat,” says Rizzo. 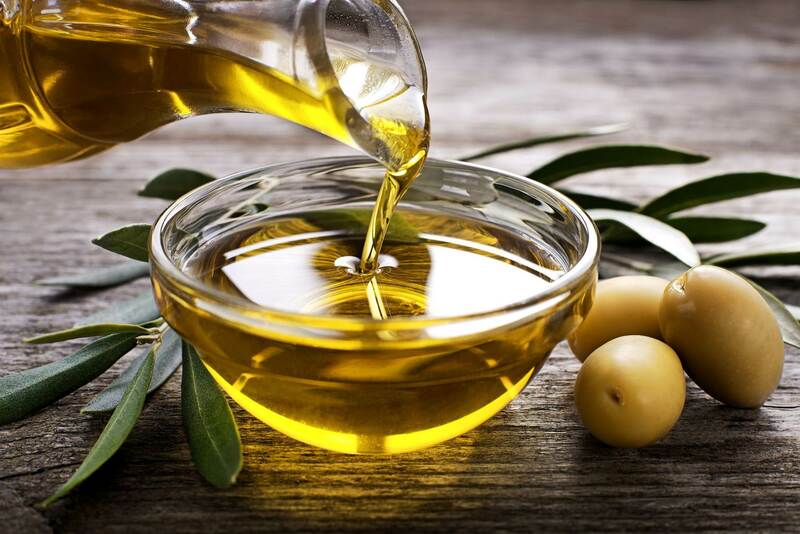 “Not only is olive oil part of the Mediterranean Diet, which was ranked the #1 diet of the year, but a multitude of research has linked it to lowering your risk of heart disease,” she adds. 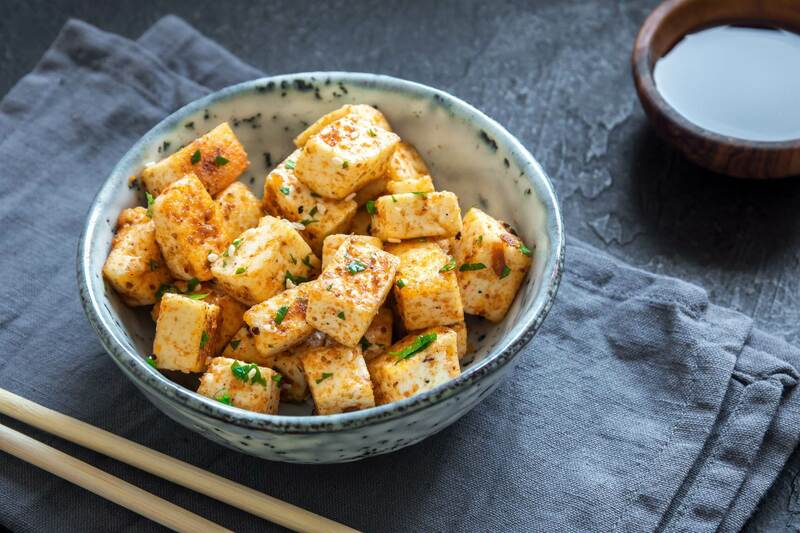 Tofu is made from the curds of soybeans and is an excellent source of plant-based protein. “For vegetarians, vegans or even those trying to eat less meat, tofu is a great option. Tofu has nine grams of protein in just 90g, and it’s rich in calcium,” says Rizzo. It’s also super affordable and versatile, taking on the flavours of basically any marinade. “Plain Greek yoghurt undergoes some processing after the cow is milked but that does not mean it is not a healthy choice! 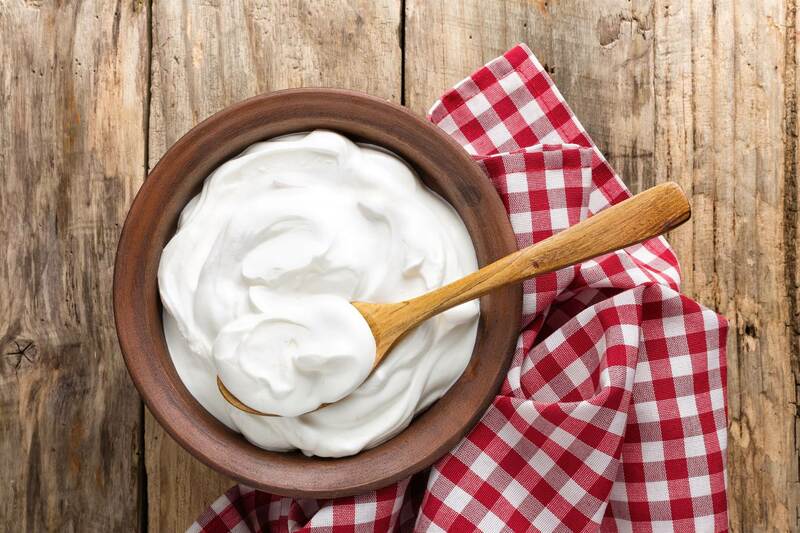 Greek yoghurt is packed with protein to help keep you full,” says dietitian Summer Yule. It also contains probiotics that benefit gut health, as well as calcium and riboflavin, Yule notes. Choose the plain varieties to avoid added sugar. If you love oysters but hate the painstaking process of shucking them, look no further than canned oysters packed in olive oil. 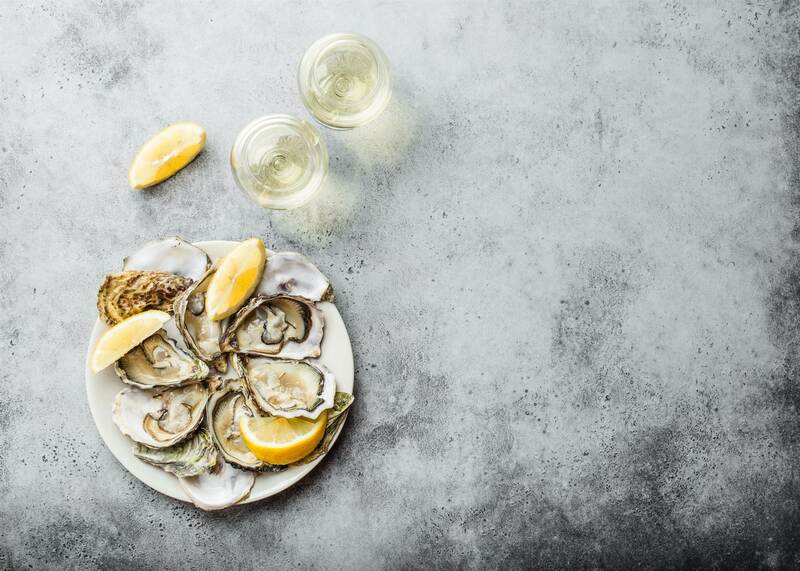 “Oysters packed in olive oil are another processed health-promoting food that I would highly recommend. Tinned oysters are far less expensive than fresh and they are packed with beneficial nutrients such as zinc and iron,” says Yule. If left unopened, they do not require refrigeration, which is a plus. “The processing involved in creating this product makes it much easier to conveniently maintain healthy eating habits,” she explains. Canned fish makes it easier than ever to reap the omega-3 benefits of salmon without going through of trouble of actually cooking it. “Salmon canned with the bones is a processed food that is packed with beneficial nutrients such as omega-3 fatty acids and calcium. So many [people] are choosing to limit dairy due to lactose intolerance and special dietary restrictions, [so] it is important to find other sources,” says Yule. Other fish canned with the bones, such as sardines and tuna, are also good choices. Some dried fruits are high in sugar because of the coating they have to preserve their freshness, but you can reduce your intake by choosing varieties that have just the fruit listed in the ingredients label. Be sure to stick to the recommended serving size as well. “Similarly to frozen fruit, dried fruits still offer the same vitamins, minerals, and fibre found in their fresh state. 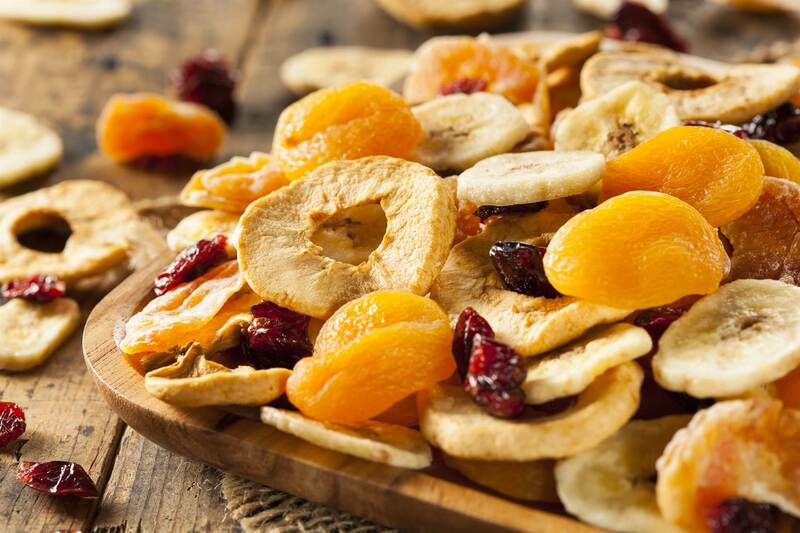 Dried fruits make a great topping to porridge or yoghurt as well as a wonderful source of on-the-go energy,” says dietitian Gloria Stoverink. 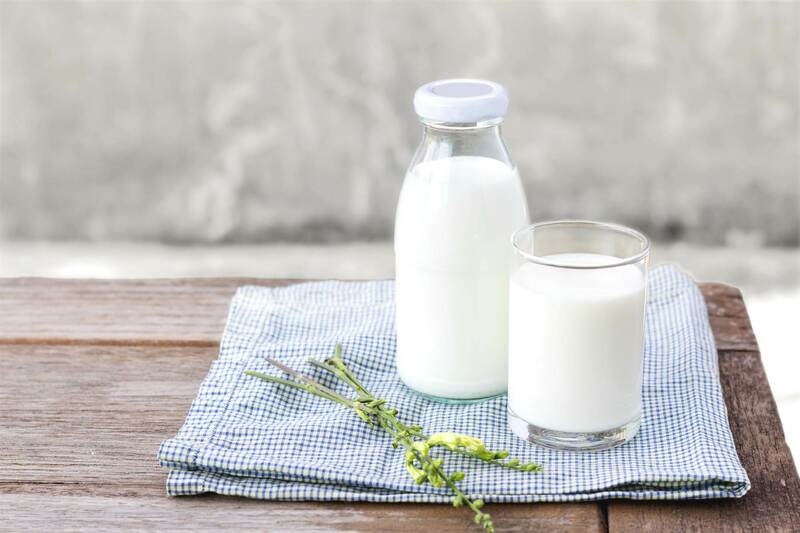 Fortified milk is an excellent way to reap the benefits of vitamin D. Fortified foods simply means that the nutrient was added to the food because it was removed during processing or wasn't naturally in the product. “Many people are deficient in vitamin D, so a good way to combat that is by drinking vitamin D-fortified milk. Vitamin D promotes calcium absorption and bone growth, helps improve immunity, and reduces inflammation,” says dietitian Ysabel Montemayor. Milk is also a good source of other nutrients, such as potassium, phosphorus, and protein. 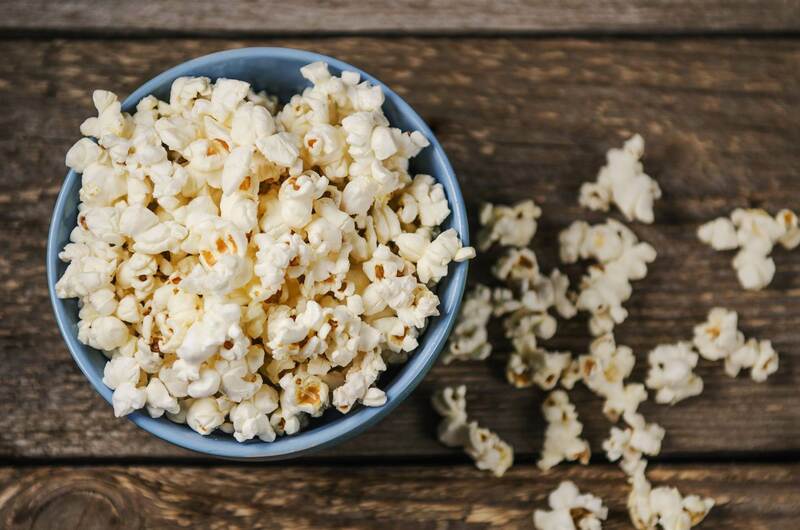 You might not realise, but popcorn is actually a whole grain and is a great source of fibre and antioxidants. “This is one of my favourite snacks for when I want something salty. I love buying packs of popcorn to help with portion control. If I want to be a little more filling, I may add some sliced almond and chocolate chips for a sweet and savoury snack,” says dietitian Brooke Zigler. Pasta sauces are notorious for loading up on sugar and salt, but Zigler says to choose ones low in both. 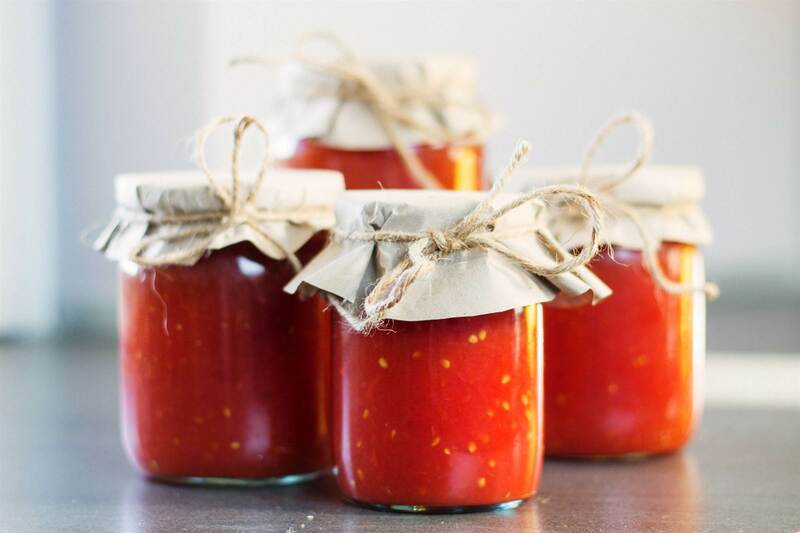 “I always encourage my clients to keep marinara sauce in their pantry and refrigerator for whenever they want to make pizza, pasta, or Italian recipes. It's a great way of getting tons of flavour without a lot of kilojoules,” says Zigler. You can feel great dunking veggies or pita chips in this dip. 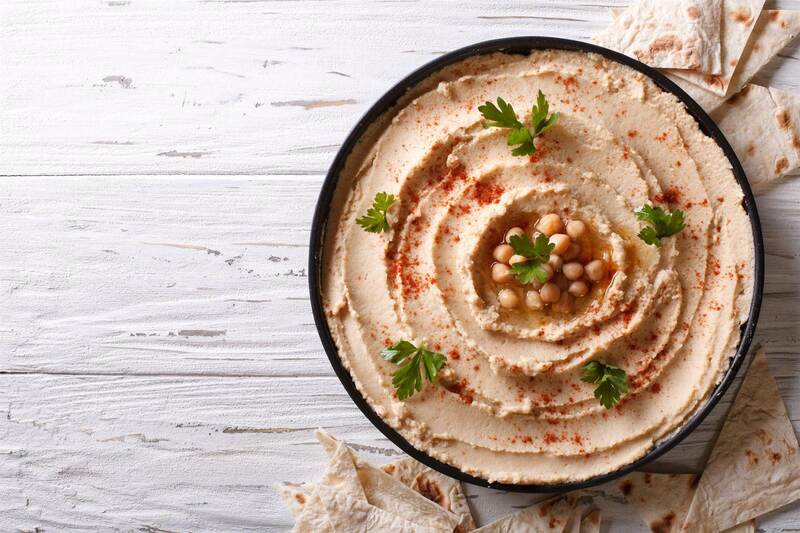 “Hummus is my favourite pre-made dip, because it’s full of healthy ingredients and is absolutely delicious. 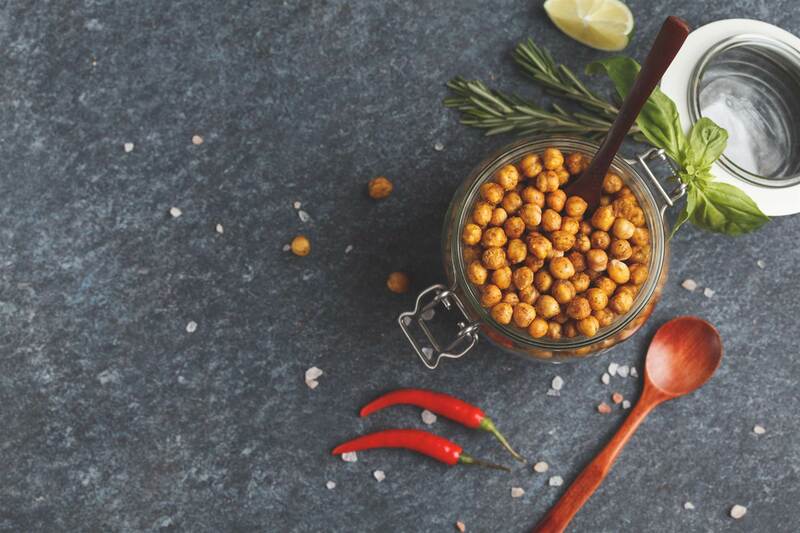 The combination of chickpeas, tahini, and olive oil contains fibre, protein, and mono-unsaturated fats,” says dietitian Sabrina Russo.